I’ve never ridden a Segway, I’ve always found people piloting them to look rather foolish, and I have no idea how they work. But after seeing a family whip down the beach on the two-wheeled vehicles, (I’m not even sure that’s an accurate name for the mode of transportation), and watching mall security guards have a little too much fun wheeling by clumps of misbegotten teens, I think it’s time I revise my opinion. 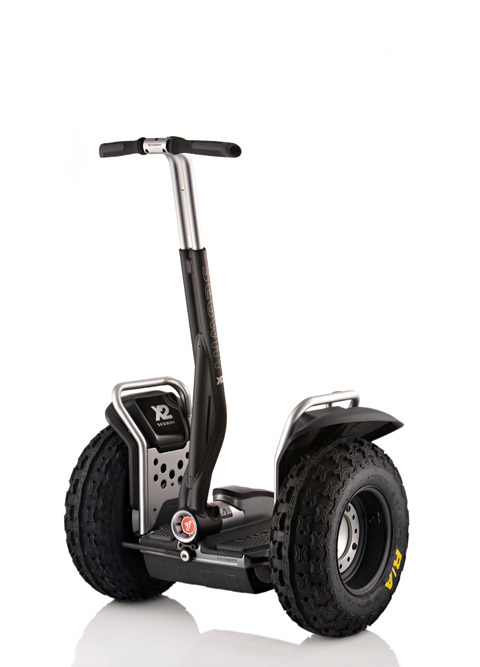 While older models of the Segway were mostly reserved for urban life, the X2 series changes all that, permitting you to travel over hills and through fields. The X2 features tires with deep treads that improve traction on risky surfaces. Because of its durability, the x2 is perfect for a birdwatching tour through the forest. If you’re interested in a more substantial trek, the x2 is available in the Adventure and Turf models, both of which include important additions. The Adventure adds extra storage, and the Turf is outfitted with low-pressure tires designed for low-impact movement. It’s true that I may never overcome the awkward feeling that I’m driving a vehicle that’s a little confused with itself, but if I can go where I want to with a little more ease, the X2 will do just fine.